Award-winning Plymouth University based rail partnership celebrates success. 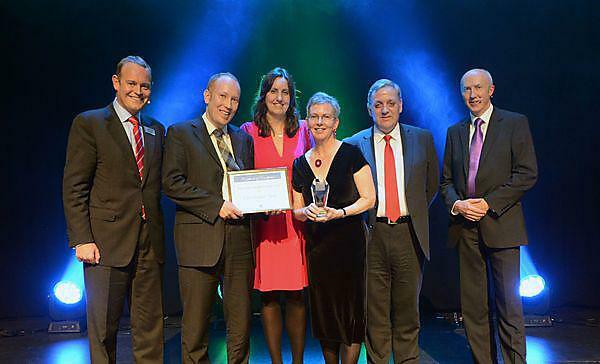 A partnership based at Plymouth University that works to promote and improve local railway branch lines is celebrating winning a number of recent awards. The Devon and Cornwall Rail Partnership, based in the University’s School of Geography, Earth and Environmental Science on the main Plymouth campus, won three top prizes and shared in a fourth at recent awards ceremonies. A campaign promoting Looe and travelling to it by train - Love Looe - won Best Marketing Campaign at the National Community Rail awards held in Scarborough. Run in partnership with Looe Tourist Information Centre, Visit Cornwall, Looe Town Council and the South East Cornwall Tourism Association, the campaign involved a big programme of media advertising, leaflets, branding and social media. It led to 2013 being the scenic Looe Valley Line’s busiest year for many years, with 118,122 journeys made on the line, up by just over 10,000 on 2012. A one-stop shop website for the Riviera Line, which links Exeter, Newton Abbot and Paignton, won the Innovation in Community Rail award. The website was set up as part of the Citizens’ Rail project, an EU Interreg project with local partners Devon County Council, Torbay Council and First Great Western. The project is led by the Rail Partnership and University. The website aims to make it easy for people to find out anything they need to know about travelling by train from one of the Riviera Line’s stations and links to all manner of information held elsewhere on the internet, but perhaps tucked away. It’s fully responsive, so works well on all electronic media and was built by Mike Parker-Bray, the Citizens’ Rail Communication Officer, based with the Partnership. It also won Most Interesting Community Engagement Activity at the Rail Exec Club’s Most Interesting awards held in Leicester. In addition, the Partnership shared in the Outstanding Teamwork first prize at the Scarborough awards with Network Rail, First Great Western, Dawlish Town Council and Friends of Dawlish Station for rebuilding Dawlish station. The Partnership’s role was to encourage greater community involvement at the station. This included recruiting new members of the station Friends, organising planting sessions, with assistance and plants from local TV gardener Toby Buckland, and a lot of work with the Friends to help with the reopening events in April. “First Great Western is proud of the communities we serve. Community Rail Partnerships have proved a great success story for the railway, which is evident in the fantastic growth in the number of rail journeys we have seen in recent years; 5 of the Country's top 10 fastest growing community rail lines are in Devon and Cornwall. The Devon and Cornwall Rail Partnership has continued its innovative work, supported by First Great Western, and can be very proud of its achievements." The Partnership is a non-profit partnership between local authorities, including Cornwall Council, Devon County Council and Plymouth City Council, First Great Western and the University. Since 1991, it has promoted and sought improvements to services and facilities on the branch lines of the two counties, including the Tamar Valley Line between Plymouth and Gunnislake and the Looe Valley Line between Liskeard and Looe.